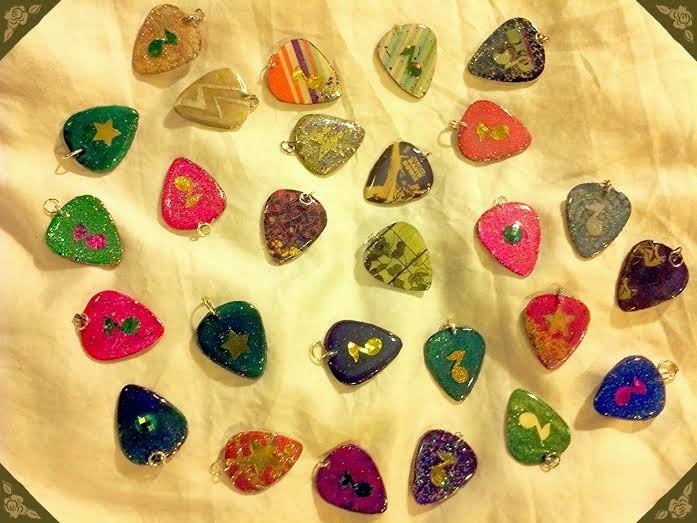 I've got over two dozen hand made guitar pick pendants available! These feature many different designs, but just to name a few main ones: music notes, stripes, lightning bolts, stars, and more! You can use these pendants on a necklace or bracelet.